HOLY FREAKING COW…IT’S ONLY 20 DAYS TO OUR FIRST ORT!!!!!!!!!!!!!!! Okay…big deep breath…that helped…one more…. Minor freak out today when I realized it’s only 20 days until mine and Jack’s first ORT (Odor Recognition Test). No biggie, right? 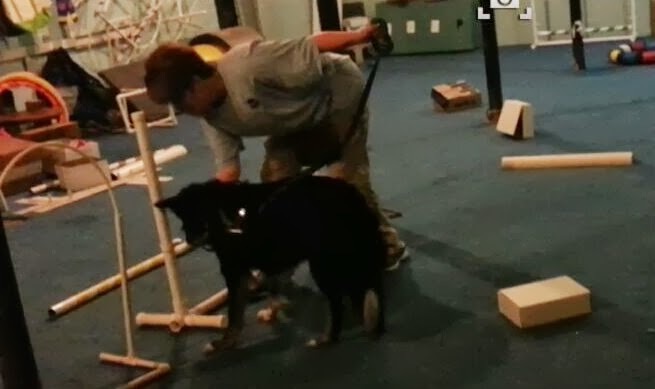 Just my very first dog sport event as a handler EVER! Thankfully I’m getting some great advice from other Nose Work handlers as well as handlers in other dog sports. Most folks are only too happy to share their experiences and let me learn from their mistakes and near misses. The bottom line: relax and have fun, Jack doesn’t care if we pass, fail, win, lose, place first or come in last. All he knows is he’s playing a game with his human. And, at the end of the day I get to go home and play more games with this awesome dog who brings me joy.